It was lightly snowing early Tuesday in Times Square as the first of several rounds of snow hit the Northeast. 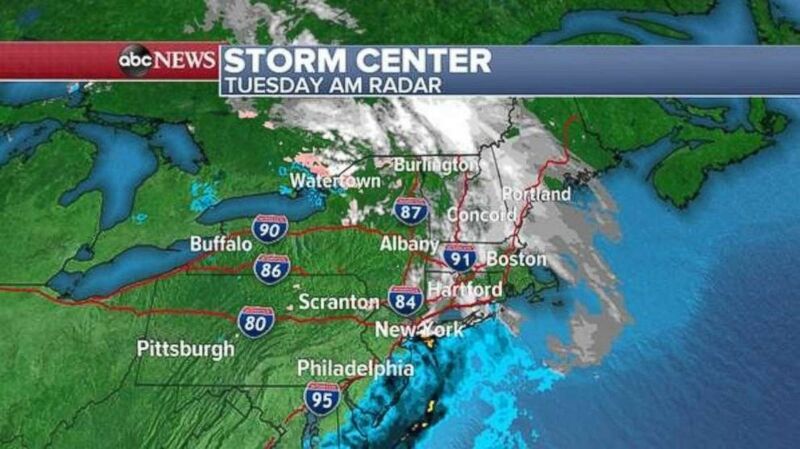 This same storm system brought snow to the Midwest on Monday. Parts of Michigan’s Upper Peninsula saw more than a foot as wind gusts of up to 50 mph created huge waves along the Great Lakes. 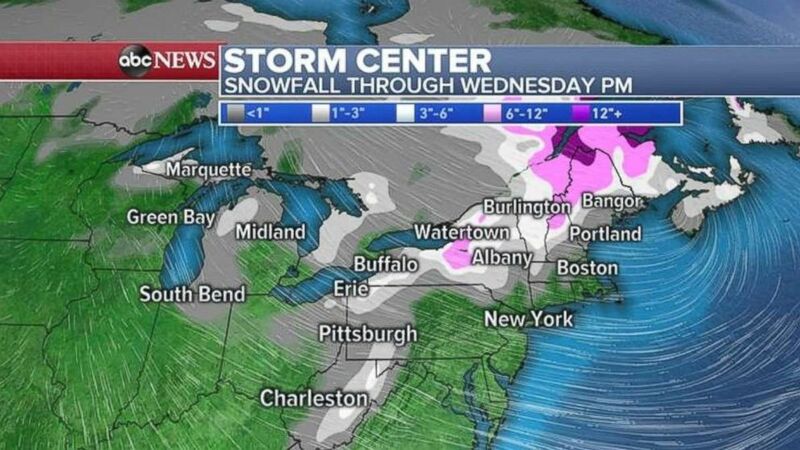 It’s finally beginning to feel like winter in the Northeast. 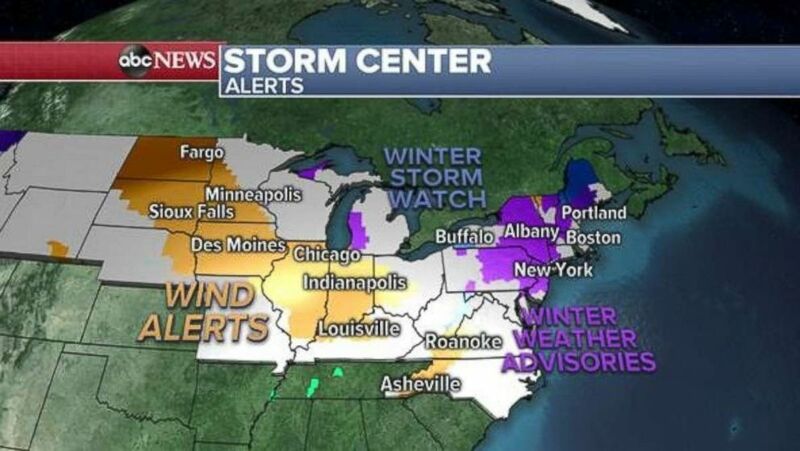 Wind alerts currently are in effect in the Midwest as the Northeast braces for colder temps and snow. Snow showers and gusty winds are expected to continue over the next 48 hours, while the Midwest again could see gusty winds — as high as 50 mph — move in behind the storm and impact larger cities including Chicago and Indianapolis. Gusty winds are expected this morning in the upper Midwest. 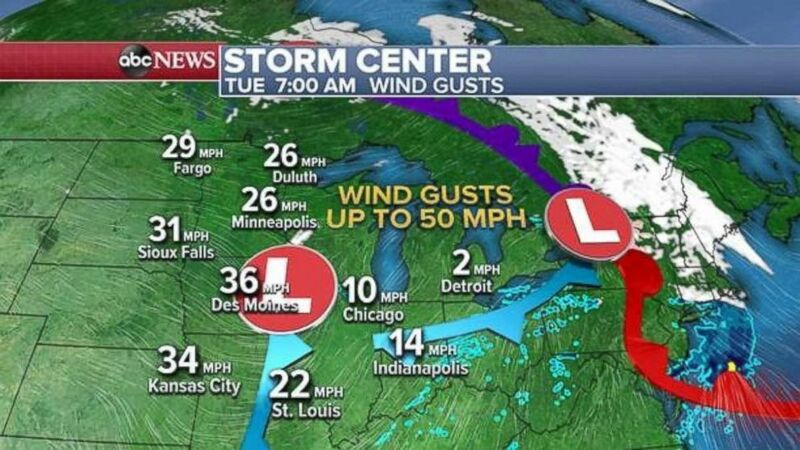 Wind gusts are expected throughout the upper Midwest this morning. These wind gusts are expected to move into the Northeast on Wednesday where they could hit 40 mph. They’re expected to last into Thursday. 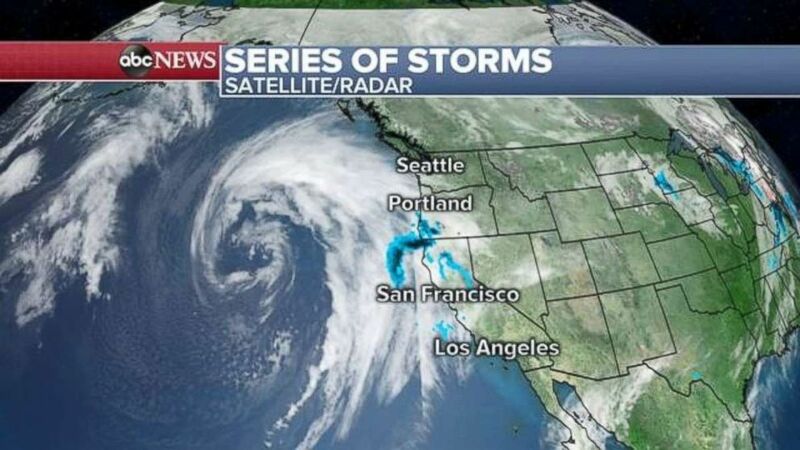 A series of storms is approaching the West Coast. Another impressive-looking Pacific storm is nearing the West Coast, with rain bands heading toward Northern California and Southern Oregon and expected to hit later tonight. Conditions including gusty winds are expected to last into Wednesday. Rainfalls of 2 to 4 inches across the region are possible.